The California Academy of Sciences is San Francisco's natural science museum. It's the place to giggle at the live penguins walking around, be amazed by massive skeletons of T-Rexes and blue whales, see growing things, and go to the aquarium. And then there's Claude, the albino alligator who has been fascinating visitors for more than 20 years. Did we say penguins? You can watch them on the Academy's Penguin Cam to confirm their cute factor, but that's just for starters. You can also see more than 30,000 fish in the Steinhart Aquarium, watch an award-winning planetarium show, and stroll through a 90-foot-tall rainforest dome. When you're done with all that, go upstairs to enjoy the view from the observation deck and check out the lawn, which is on the roof. In fact, the building's roof is green, energy conservation-wise and literally green as well, covered with local plants. Even the architecture is worth checking out, done by Italian Renzo Piano who also created the Pompidou Center in Paris and the Parco della Musica in Rome. His design unifies twelve separate academy buildings into a single structure covered with that two-acre living roof. On busy days, ticket lines are long, especially at opening time. If you buy tickets in advance online, you can get in much faster. The Academy also offers some fun behind-the-scenes tours, VIP Nightlife tours, animal encounters and a Pajamas and Penguins sleepover. You can reserve tours in advance online. If you want to visit, but would rather have a more adult experience, the Academy offer NightLife events on Thursday evenings that are limited to adults aged 21+ only. Don't get there too early. The California Academy of Sciences opens later on Sunday than it does other days of the week. Get there at least two to three hours before closing. They will let you in until an hour before closing, but it's not a good idea. You'd spend a lot to see only a little and would probably end up disappointed. During busy times of the year, they may be open later than usual. Check their hours here. To get a more in-depth look at the museum, download their Pocket Penguins and iNaturalist apps before you go. Don't miss out on activities, which might include junior scientist adventures, a chance to watch the penguins getting fed, animal encounters, and planetarium shows. Check their daily event calendar to see what's planned. If you get hungry, try the Academy Cafe or The Terrace. If you have heard about the Moss Room at the Academy, you're too late. It closed in 2014. If you love science, don't miss San Francisco's Exploratorium, which is my top pick for California's best science museum. 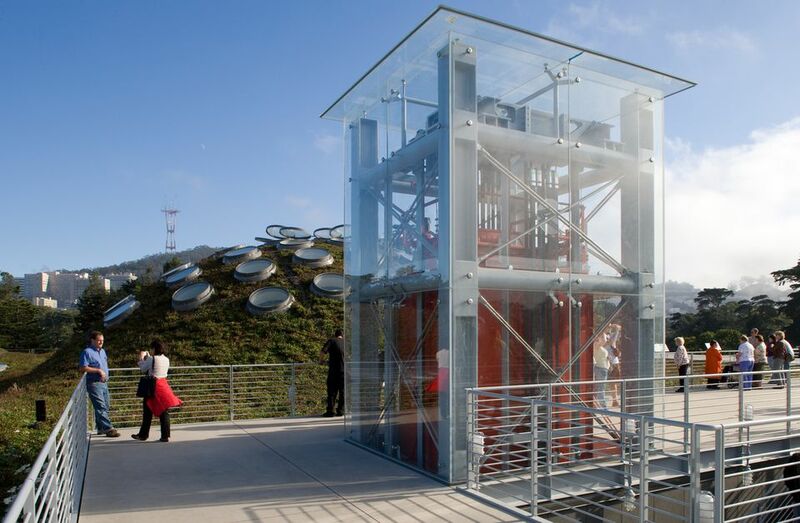 While you're in Golden Gate Park, you may also want to see some of its other fascinating attractions. The museum is open daily except on a couple of major holidays. You can get their schedule at the California Academy of Sciences website. Admission is charged, and you don't need reservations. Children three years old and under get in free. People who live in the area get occasional free entry, and the general public can enjoy free Sundays when they're offered. Get the details on the free entry programs. The Academy of Sciences is included in both of the major admission discount cards: the Go San Francisco Card and the San Francisco CityPASS. The California Academy of Sciences is on the east end of Golden Gate Park, near the De Young Museum and Japanese Tea Garden. If you drive to California Academy of Sciences, enter Golden Gate Park at Fulton St and 8th Ave to use the underground garage. You can park for free on streets nearby, but finding an open space on a busy day is enough to aggravate even the most laid back drivers. Parking fills up on weekends, and some streets in the park are closed to automobiles on Sunday. The most convenient places for street parking are John F. Kennedy Dr near the Conservatory of Flowers or Martin Luther King Dr near the San Francisco Botanical Garden. Find several ways to get there by car, bike, and public transit.